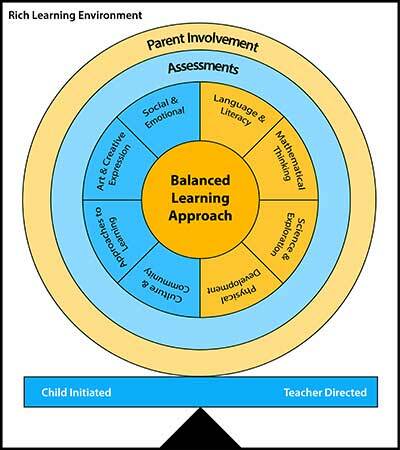 Avondale Preschool’s curriculum offers a balanced learning approach. 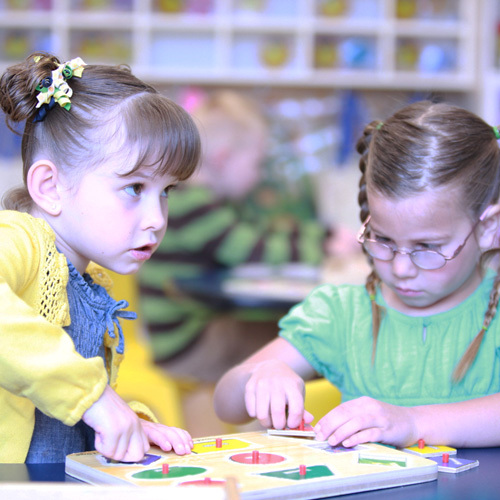 The curriculum carefully balances learning and exploration between child initiated and teacher directed activities. Throughout our daily routine and activities, teachers will encourage students to learn, explore, imagine and develop their own creative expressions. Equally important are our teacher directed activities that prepare preschoolers with the academics needed to Get Ahead and Stay Ahead! Our balanced literacy reading program is one example of how the curriculum prepares students academically for Kindergarten! 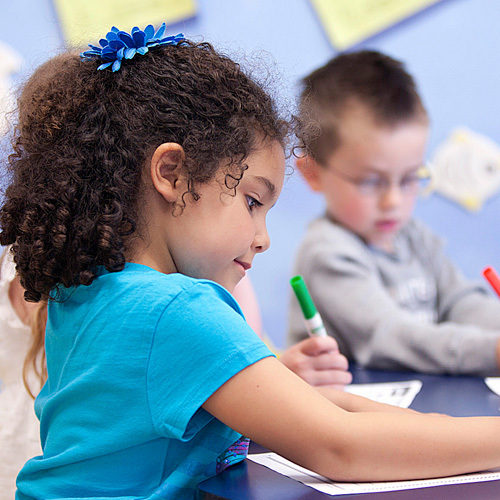 At Avondale Preschool, we understand the careful balance required in all areas of a preschooler’s development. That is why our curriculum has been tested and refined over the past 15 years by over 50+ teachers. Due to the success of our students, Avondale Preschool Curriculum is now being used in over 200 preschools and school districts throughout the United States. Our three and four year old preschool students are assessed on alphabetic knowledge, phonemic awareness, number recognition, handwriting, sight words, word families and social development, by the teacher, every third week of preschool. The assessments will then be sent home for the parents to view.  This is a wonderful tool that we provide for parents to stay involved in their child’s education throughout their preschool years. Bridging the gap between preschool and home is essential to a student’s success. One of the ways this is done at Avondale Preschool is through our continued communication with parents at the portico, back to school night, parent teacher conferences, holiday parties and our monthly assessments. 1417 Lake View Terrace Rd.